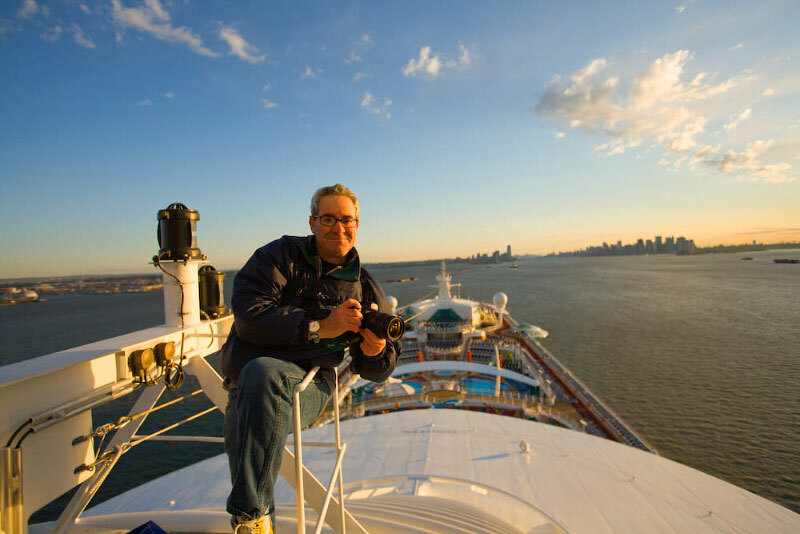 "What pr executive would permit a photographer, to climb to the top of the funnel of the world's largest cruise ship, sailing under the Verazanno Bridge during her maiden voyage to New York -- and with every company executive on board? He has to really trust that guy. You get the job done and get the money shot. Just look at all the cover shots we have in USA Today." Rene A. Mack, President-Travel & Lifestyle Practice, Weber Shandwick, NYC. "They say local knowledge is everything. While I'm a boat captain myself, when I'm looking for someone to shoot the big stories and the big ships and when I'm seeking someone who knows the ports and the harbor pilots as well as someone who simply knows how these ships, pilots and pors work, I call on Jonathan." Peter Greenberg, Peter Greenberg Travel, TV Personality. "When Jonathan takes on an assignment his editor is assured of the best. Not only does he take pride in his work, but leaves no stone unturned to thoroughly research the job and apply his technical and creative skills. The result? A fresh look at whatever he photographs." Ursula Mahoney, former New York Times Travel Photo Editor. "You are a genius, no other accolade will do. You are the best And I know what you do. Be very proud." Fred Ward, Malibu CA. Former contract photographer, Black Star. "Jonathan, your images of the Queen Victoria arrival are truly royal. Top drawer indeed." "You sir and your photographs are not only a piece of work, a freakin day at the beach, definitely an honor to know."